AHPA (the American Herbal Products Association) is a nonprofit organization made up of over 350 herbal businesses who want to promote the responsible commerce of herbal products. In other words, AHPA is a group of behind-the-scenes herbal experts and enthusiasts who put their companies’ competitive goals aside to work together to make sure that the herbal products available to you online and in stores continue to be safe and healthful. AHPA members meet regularly to discuss issues like the proper labeling of herbal products and how to follow industry regulations. AHPA’s work emphasizes advocacy of, and communication and education about, the healthful plants that we hold near and dear. AHPA’s work is divided into several committees, each with a unique focus. Although everyday consumers may not hear much about the various industry topics discussed by each individual committee, these issues have an impact on the herbal products we buy and how we use them. The Education Committee, for example, works to offer educational resources like herbal webinars to help businesses comply with industry regulations and ensure that their health claims are properly substantiated. Do you want to buy an herbal product that claims to assist with a certain ailment when there’s no proof that it is able to do so? I don’t, and you probably don’t either. That’s why AHPA offers claims substantiation seminars and other educational resources to help companies talk about their herbal products in a way that’s safe and accurate. AHPA provides the following expert standards in order to help businesses self-regulate. AHPA's Code of Ethics, Business Practices & Trade Requirements: AHPA requires its members to comply with a core set of safety and trade standards, covering areas such as pesticide analysis, the trade of endangered botanicals, and more. Guidance Policies and Guidance Documents: AHPA encourages its members, as well as nonmembers, to also comply with an addition set of recommended policies and best practices relating to product packaging, manufacturing, labeling, and other aspects of trade. AHPA provides helpful documentation relating to these guidelines. Some companies may see AHPA’s work, particularly its Code of Ethics and Current Trade Requirements, as burdensome to running a business. An example of a Current Trade Requirement is that retailers offering undiluted essential oils should label their oils with a warning along the lines of “External Use Only” or “Not for Internal Use.” This practice is recommended because essential oils are very concentrated and can be dangerous if ingested. Not all companies follow this guideline, as they believe it’s more lucrative not to do so. However, as a non-profit, AHPA puts your safety first! So if you’re curious about the labeling of the last herbal product you bought, check out AHPA’s guidelines. Mountain Rose Herbs has been a member of AHPA since 2002 and has been highly involved in AHPA for the last decade. 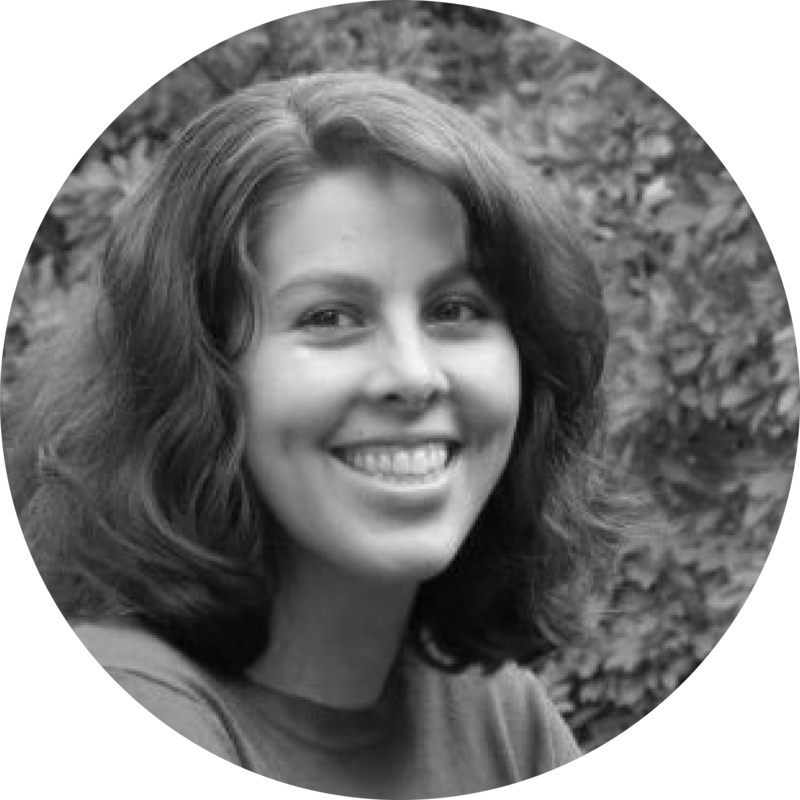 Our Products Manager, Christine Rice, is a member of the Tea and Infusion Committee and the Personal Care Products Committee. Our Director of Quality, Steven Yeager, who is a renowned expert on herbal products, was elected to the AHPA board by other members eight years ago. In addition to holding a seat as a board member, Steven sits on most of the committees and is particularly involved in the Botanical Raw Materials Committee, the Education Committee, the Finance & Government Committee, the Government Relations Committee, and the Small Business Committee. Steven has also been a frequent co-teacher for in-person workshops like this one, which instructs personnel at herbal supplement companies how to identify botanicals in a scientifically valid way. 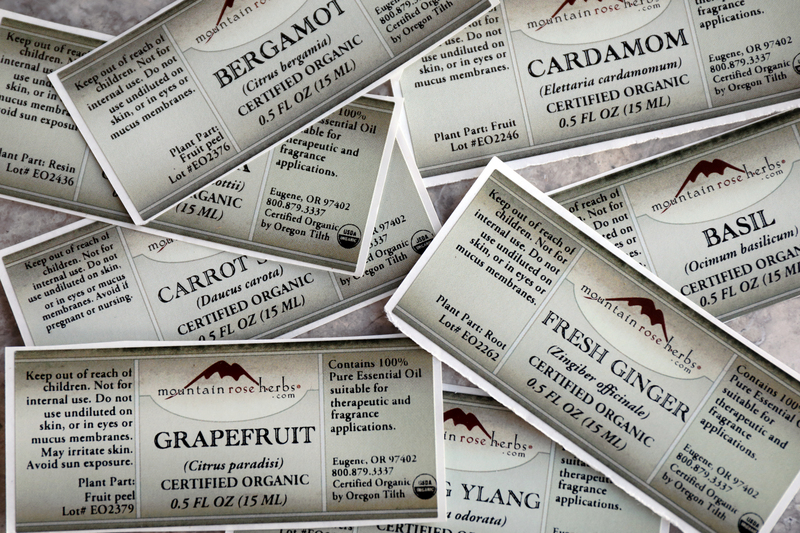 Additionally, Mountain Rose Herbs is involved with AHPA’s Nontimber Forest Products Committee which works to harmonize state regulations and tighten harvesting practices for at-risk plants such as American Ginseng. 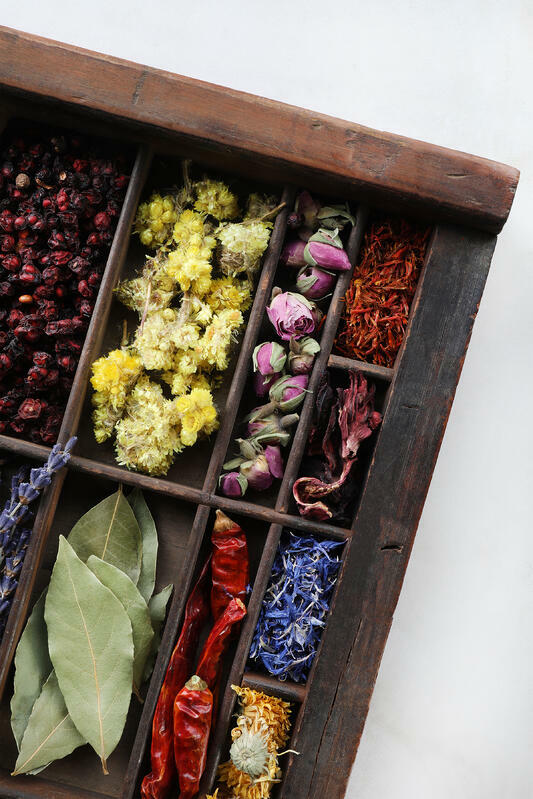 Mountain Rose Herbs has also been involved as a sponsor for the AHPA Foundation for Education and Research on Botanicals (the AHPA-ERB Foundation). Through this foundation, companies can help fund research projects to learn more about responsible harvesting and consumption of a particular botanical. We were proud to be one of the donors to the Multi-year Osha Sustainability Study, which consisted of research on plot studies, plant regeneration, and guidelines for harvest practices. Steven also serves on the board for the AHPA-ERB Foundation, alongside representatives from like-minded companies and esteemed nonprofit directors such as United Plant Savers Executive Director Dr. Susan Leopold. 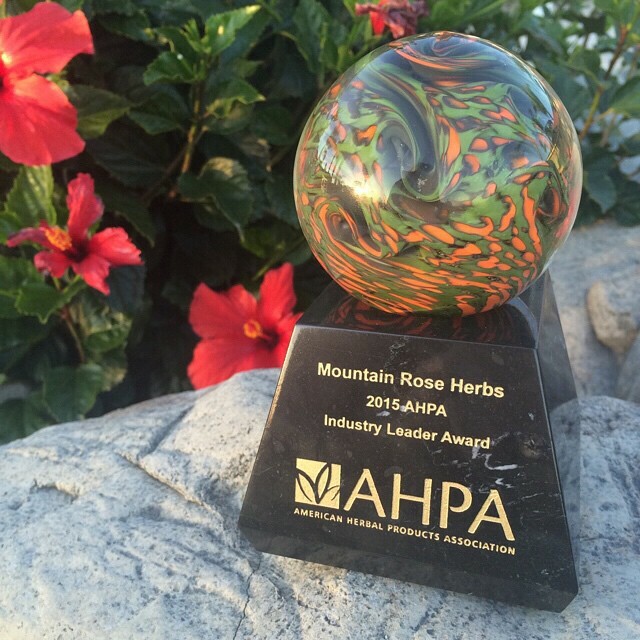 Mountain Rose Herbs is one of the proud recipients of an AHPA Herbal Industry Leader Award. In order to win an AHPA award, companies and individuals are nominated by other members or non-members in the herbal products industry for their positive contributions to the industry. In 2015, other members of AHPA were impressed by our sustainability practices, and we were honored to accept the award! Check out AHPA’s list of award recipients to learn about other individuals, companies, and organizations who are working to promote and ensure the responsible commerce of herbal products. Interested in Other Ethical Business Practices? Read About How We Became a Benefit Company, and How You Can, Too!